ASIA is an Italian NGO that has been present in Nepal since 1996 and aims at rebuilding the country’s future by focusing on children and schools. Its long and continuous presence on the field has allowed ASIA to intervene right after the earthquake, helping over 26,000 people and building 58 temporary schools in Rasuwa district – one of Nepal’s remote and isolated regions. Later, ASIA was built the destroyed schools in the same area of the temporary schools (Nepal-Rasuwa). Caritas Italiana, Clown One Italia Onlus, Save The Children Italia, Tavola Valdese and ASIA’s private donors funded the project. The four schools are Arukharkha, Thangdor, Namuna and Dupcheshwori. They were built following antiseismic regulations and equipped with toilets, bathrooms and drinking water. Insulating materials guarantee their efficient energy use. 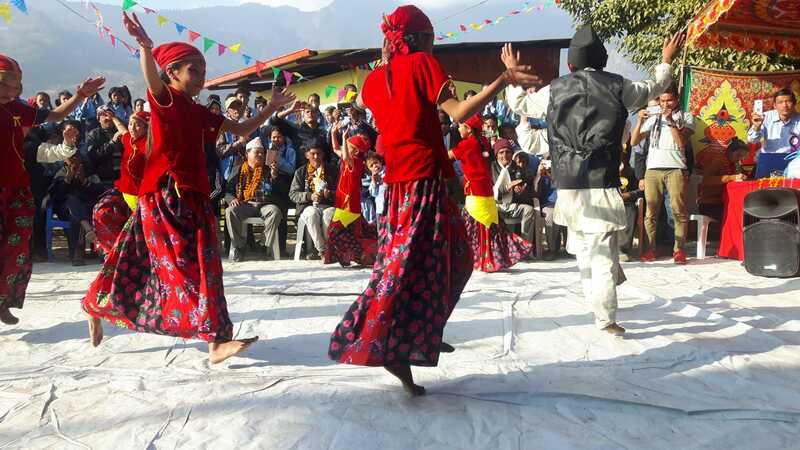 • Arukharkha Primary School (Yarsa, Rasuwa District) will host 103 children and 4 teachers. The school is 296 sq m wide and has 6 classrooms, restrooms and a teacher’s room. • Thangdor Primary School (Yarsa, Rasuwa District) will host 61 children and 4 teachers. The school is 436 sq m wide and has 8 classrooms, restrooms and a teacher’s room. • Namuna Primary School (Saramthali, Rasuwa District) will host 24 children aged from 5 to 8 and 3 teachers, and will be a reference point for all the children from nearby villages. It is 185 sq m wide and will host 4 classrooms, restrooms and a teacher’s room. • Dupcheshwori Secondary School (Saramthali, Rasuwa District) will host 247 students and 8 teachers. Its two separate buildings have a total width of 592 sq m, and they include 10 classrooms, restrooms and a teacher’s room. All the schools have been dedicated to the memory of Chögyal Namkhai Norbu, founder of Asia who recently passed away. ASIA’s project aimed at rebuilding the schools, but it also makes them a reference point for local adults and families. People are trained to generate income from agriculture, and learn more about children’s rights and the risks of child trafficking. Take Her By the Hand is ASIA’s campaign to keep helping Nepalese girls. 31.4% of Nepalese people are illiterate, and in Rasuwa district the rate is 43.4%, among which 25.5% are women and 17.9% are men (Source:Nepalmap). Very often, the families’ income in Rasuwa is not sufficient either to buy medicines and clothes, or to afford children’s education. Children cannot attend school, as their parents cannot buy books, notebooks or uniforms, or cover the school fees. In the most disadvantaged families, parents prefer to send their sons to school, as they are the ones that will always live with them, while daughters will move as soon as they get married. Helping families invest on their daughters’ education is more than simply allowing them to attend school. Indeed, in the areas where illiteracy is higher, there are also more child brides. One out of three females with no education is also victim of domestic violence, while it is one out of ten among those who have attended school (Sourcee: NDHS 2016). 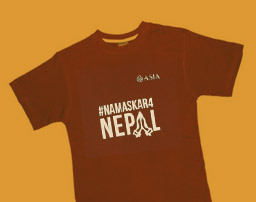 It is possible to support Nepalese girls by either donating (namaskarfornepal.org) or joining the long-distance sponsorship programme (adoptibet.org). It is extremely important to invest on female education in Nepal, particularly in Rasuwa. High levels of illiteracy bring more violations of human rights, which prevent children to grow-up in a safe and happy environment.